Aloha from Hawaii! 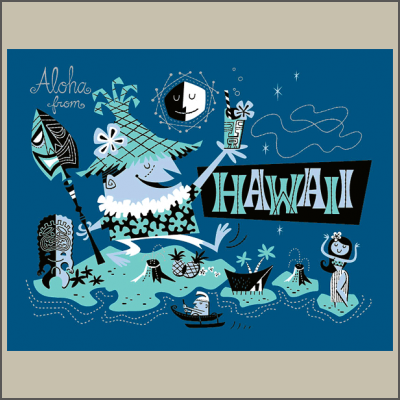 Drink in the island spirit with this Hawaiian inspired serigraph from the original painting by our own Derek Yaniger! This collectable four color silk screened serigraph is printed on heavyweight archival paper and measures an impressive 18" x 23" all signed and numbered by the artist in a limited edition of 100.